Throughout the years, these German brewers displayed an impressive creativity in the styles they developed using these simple ingredients. 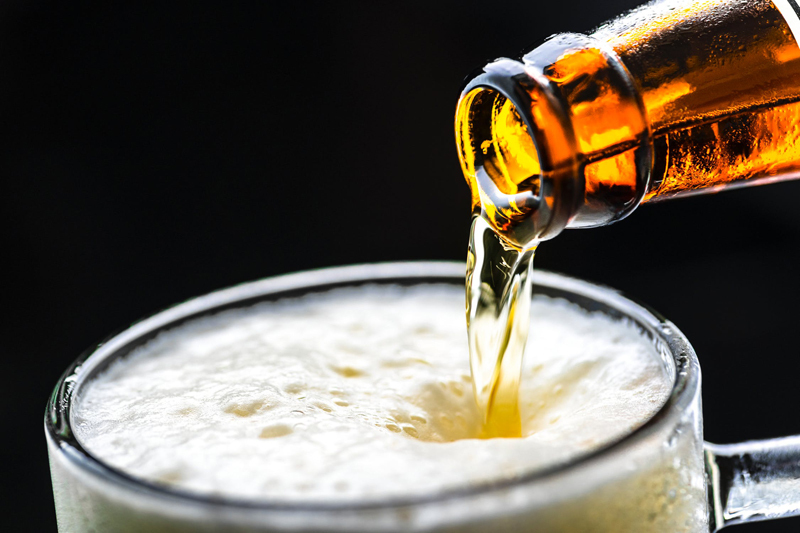 With specially selected grains and water from different sources, they could brew darker beer such as bock and schwarzbier, or crystal-clear golden beers such as German Pilsner, Vienna Lager, or Munich Helles. They developed Oktoberfest, North German Altbier, Dortmunder Export, Rauchbier, Kolsch, and Eisbock. With small modifications in the law, they were able to create Roggenbier, Weizenbier, Dunkelweizen, and Berliner Weiss. As borders shifted and laws loosened up, acceptance arose to include saline water and coriander in the brewing of Gose beer. Woodruff, Raspberry syrup, and flavored liqueur were served with Berliner Weiss and Gose styles. With the onset of warmer summer temperatures, cyclists needed a beverage that would replenish and refresh them through the demanding physical challenges of biking through the Bavarian mountains, while avoiding any semblance of drunkenness. The paths were too dangerous to maneuver without keeping a clear head. As Germans, they were raised with beer as the traditional beverage of choice for mealtimes and refreshment. As a rational solution to their dilemma, Radler, a blend of lager and lemonade, was developed in Southern Germany, just outside of Munich. On the other side of the globe, DB, the second largest brewer in New Zealand and a subsidiary of Heineken, applied for, and was granted, the trademark for the term Radler. This was in 2003. It also applied for, and was granted, the trademark for the term Saison, the simple, country-style beer developed in the self-sufficient farms of Belgian Wallonia. In 2008, DB threatened legal action against a small, artisanal, New Zealand craft brewer, the Green Man Brewery, who had been using the term Radler for a beer in that genre. They also flexed their muscle against an online seller of Green Man's Radler, www.beerstore.co.nz. SOBA, the Society of Beer Advocates, a consumer group in New Zealand, stepped up to the plate, believing that “no company should 'own' the exclusive rights to the name of a recognised beer style.” SOBA is attempting, through court action, to have the trademark revoked. Sad news for the people of New Zealand! Technically, a trademark cannot be granted on a name that is a generic term or is known as a recognized beer style. Even without knowing the exact date when the term Radler was initially used, it is clear that 1) Radler has been a common term since at least 1977, 2) It is known as a Cyclist’s beer with a low ABV, usually from 2.4-2.6%, 3) Radler is essentially a shandy made of beer and lemonade, and 4) It is known as Radler or Radlermass, whether mixed in the pub or poured from a bottle. DB was clearly acting in bad faith in 2003 when it applied for trademark status. It appears DB is plagiarizing the term from the heritage of German and Austrian brewers, and claiming this title as its own idea. DB was also acting in bad faith when it went after the trademark for Saison. It may be easy to shrug our shoulders and not care. New Zealand seems a world away to many people in the Northern Hemisphere. But these cases are the “testing ground” used by beer conglomerates with sights set on market share. If they succeed in New Zealand, it is only a matter of time before they crowd into the courts of other countries seizing trademarks on words such as Biere de Garde, ESB or Imperial IPA. With enough apathy, they may be able to claim Ale and Lager, causing the extinction of variety in beer. They could call it GB (Generic Beer), and their accountants would be dancing on air!